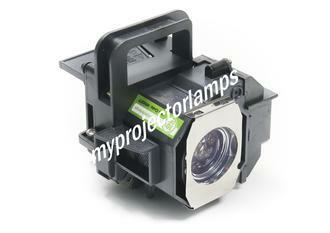 The Epson ELPLP49 is a reliable replacement lamp for a large selection of Epson projectors. 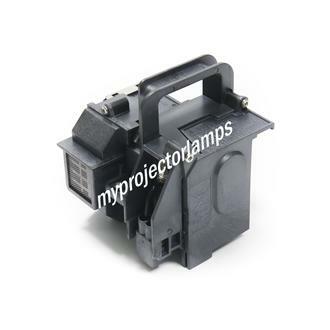 This particular lamp goes by a number of alternative names including the Epson V11H291120, Epson V11H293320, Epson V11H338320, Epson V11H420320 and Epson V13H010L49 among several more, which can be seen on this page. The lamp and module features a jet black casing which fully encases the bulb with a metallic face-plate framing the front of the bulb. Easy grip handle makes installation and removal easy. Two screws, positioned on each side of the module, hold the module in place within the projector and it connects with a 2 prong black plug. The lamp is equipped with a high quality original 200 watt bulb. A single replacement lamp is all that is required to get your projector back to optimal brightness. The ELPLP49 is designed to fit a number of the most popular Epson projectors including the Epson EH-TW2800, the EH-TW2900, the EH-TW3000 and the EH-TW3200. Q Is this exactly the same projector lamp as the lamp inside of a brand new Epson EH-TW3500 projector. I.e. is the whole lamp is assembled and produced by the original equipment manufacturer? Asked by Kiran On Aug. 11, 2017, 12:24 a.m.
A Hello Kiran, thank you for your question. All the lamps on our website will use the 100% Original OEM bulb. 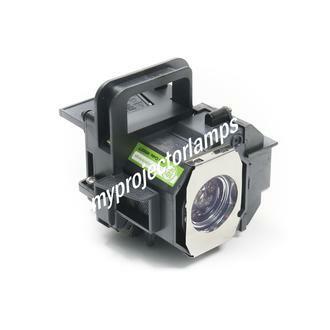 If purchased with the housing it will be enclosed in a MyProjectorLamps assembly. We also do offer a full OEM lamp which will also come with an original assembly. Please contact our customer support to special order your lamp. Answered by MyProjectorLamps On Aug. 14, 2017, 10:50 a.m.
Q I would like to down the approximate shipping time to Markham, Ontario, Canada Asked by John On Oct. 29, 2017, 7:18 p.m.
A Hello, thank you for your question. We have 3 priorities of shipping and all are with FedEx; Ground, 2-Day, Overnight. All our lamps in Canada ship from Calgary. Transit time for FedEx ground from Calgary to Ontario is usually 3-4 Business days. FedEx 2Day will arrive in 2 business days and overnight will arrive the next business day. 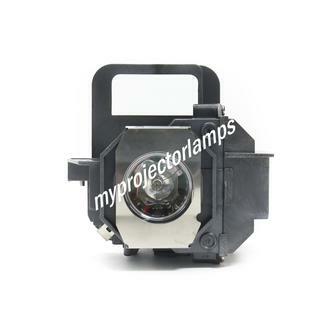 Answered by MyProjectorLamps On Oct. 30, 2017, 3:27 p.m.
Q hi can you please confirm that this lamp is a genuine epson replacement for my projector thanks Asked by robert On Nov. 7, 2017, 3:57 a.m.
A Hello, thank you for your question. 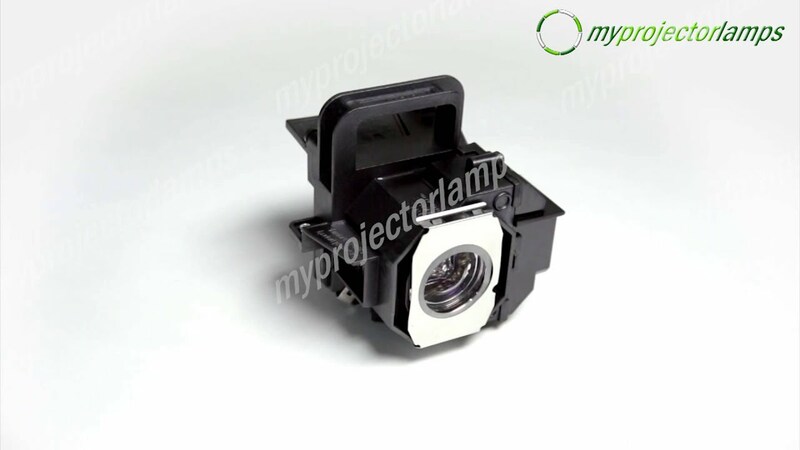 The lamp we offer for this EPSON projector is a 100% OEM bulb enclosed in our own MyProjectorLamps branded module. It will also come in a MyProjectorLamps branded box. This lamp will certainly work perfectly for your projector and will give you a very high quality & crisp image as well as long life. We are also able to obtain a full OEM lamp with original bulb, original housing, and original packaging as well but its a special ordered product and not available on the site. If you wish to order a FULL OEM lamp please contact us. Answered by MyProjectorLamps On Nov. 7, 2017, 2:55 p.m.
Q What Brand of Bulb is in this lamp, Osram, Philips, other? Asked by Jonathan On Nov. 21, 2017, 12:39 p.m.
A Hello, thank you for your question. The bulb we used on this model is an 100% original OSRAM bulb. Please let us know if you have any other questions or concerns regarding this model. Answered by MyProjectorLamps On Jan. 23, 2018, 11:59 a.m.
Q Hi, I need a lamp ELP-LP49 for an Epson 8350. I live in argentina, but wiil be in Miami from march 6 to march 9 of 2018, in a hotel.So..If I buy the lamp from you via web, can you deliver it to the hotel in one of those days?? ?Regards Asked by hugo On Jan. 19, 2018, 10:17 a.m.
A Hello, thank you for your question. Yes we can certainly ship to your hotel during those dates. We ship all of our lamps from Los Angeles so it will take a few days to arrive in Miami. Please contact us 2 weeks before your trip to arrange delivery at your hotel between March 6-9. Answered by MyProjectorLamps On Jan. 23, 2018, 12:28 p.m.